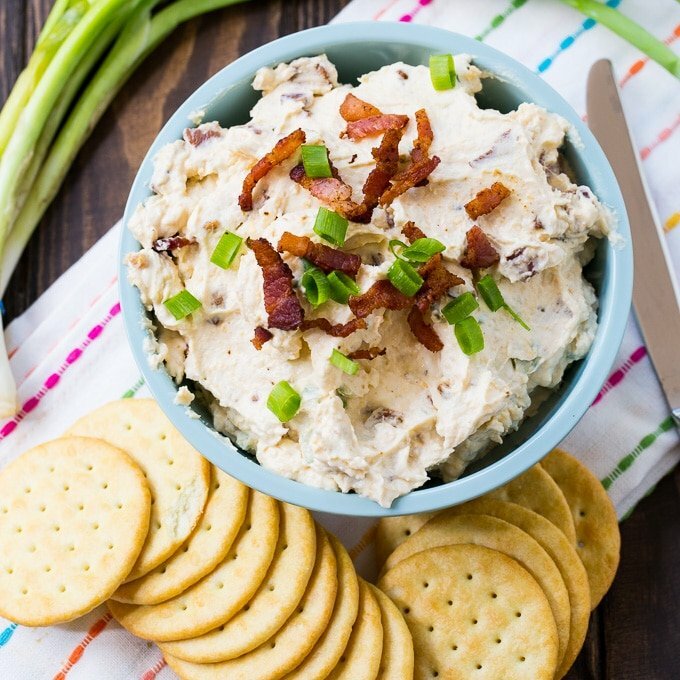 Bacon Horseradish Spread is a creamy spread with plenty of zip that’s perfect for spreading on crackers or crusty bread or even as a dip for crudites. Once the bacon is fried, this tasty spread can be assembled in just a few minutes. Eat it right away or refrigerate it to let the flavors develop. 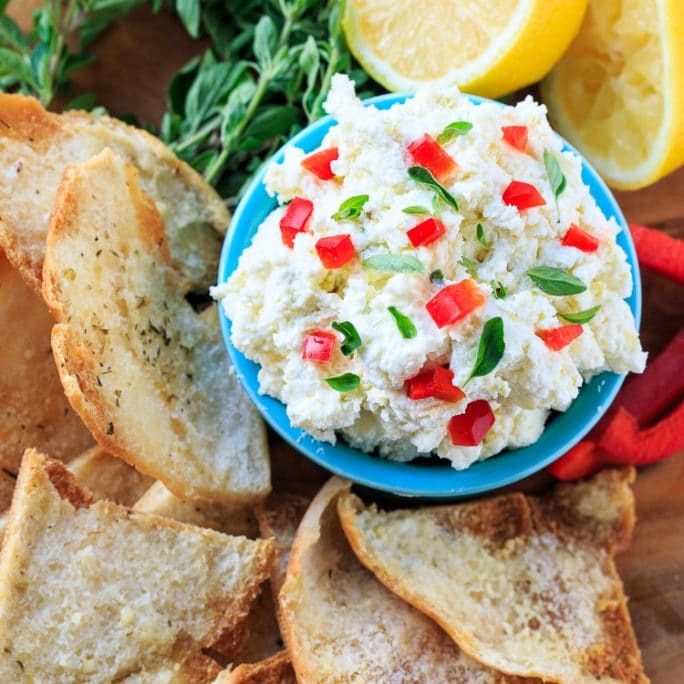 The base of this creamy spread is cream cheese. Heavy cream gets added to make it more spreadable, plus a little lemon juice to perk the flavors up some. I use 3 tablespoons of horseradish. Use more or less based on your tastes. To round it out, a cup of cheddar cheese, garlic powder, black pepper, green onions, and 8 slices of bacon. 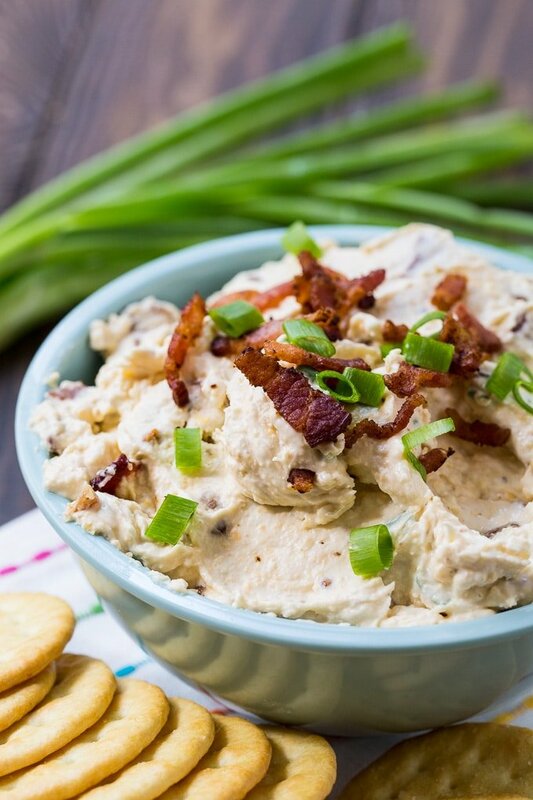 There’s enough crumbled bacon added in that you get that smoky, salty, bacon flavor in every bite! Whether it be game day, a casual get together, or a formal party, Bacon Horseradish Dip will really hit the spot. 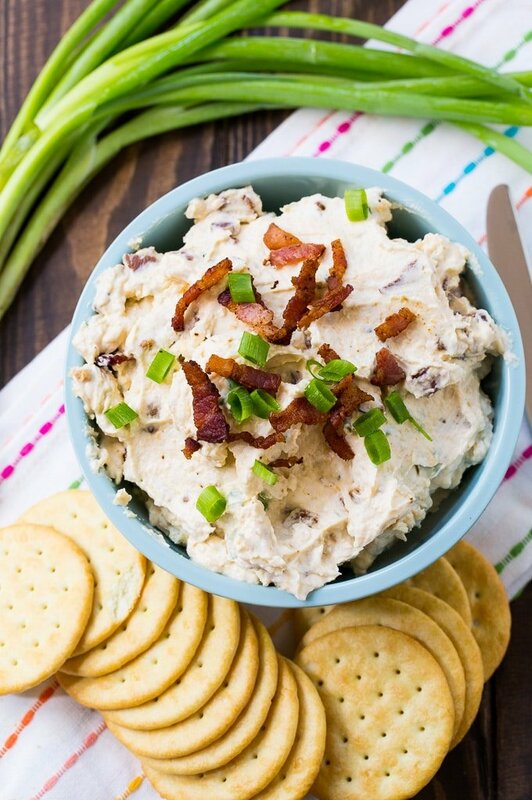 Bacon Horseradish Spread has tons of smoky flavor and a little zip from the horseradish. 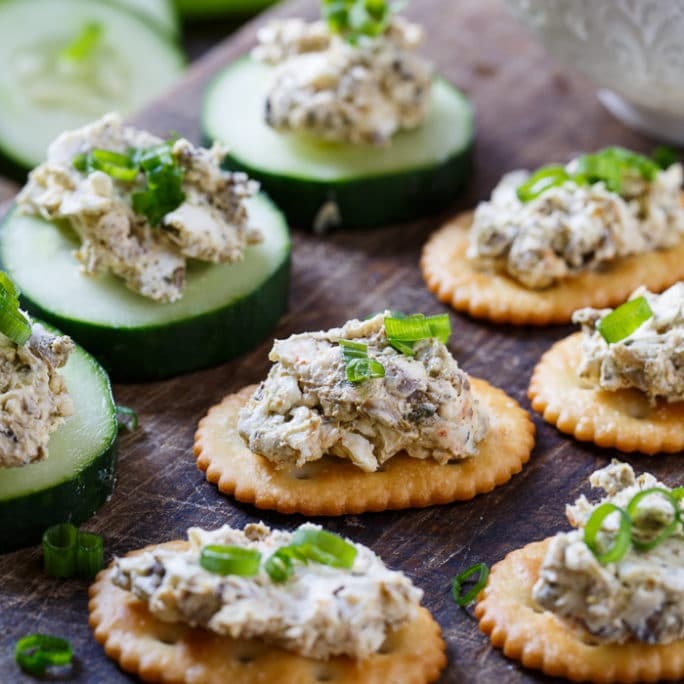 Serve on crackers for an easy and delicious appetizer. Using an electric mixer, mix cream cheese, heavy cream, horseradish, lemon juice, pepper, and garlic powder until smooth. 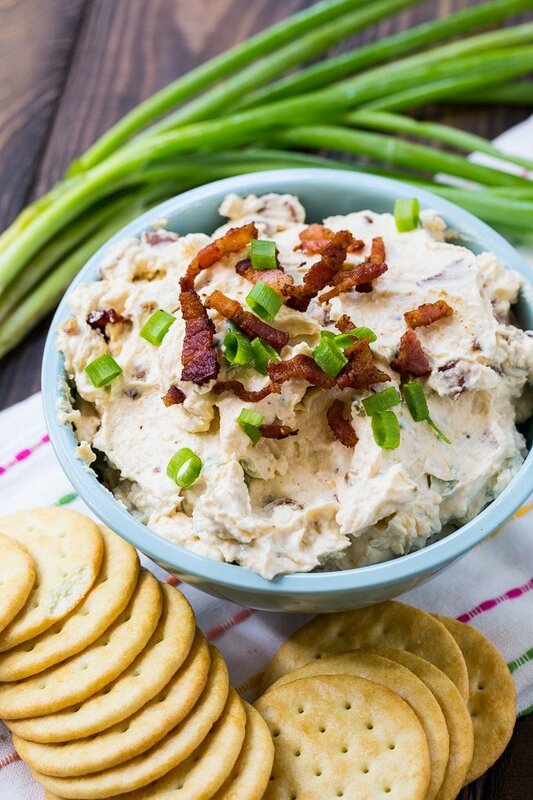 This entry was posted in Appetizers and tagged bacon, dips and spreads, horseradish. Bookmark the permalink.